What Are the Symptoms of Aspartame Disease? 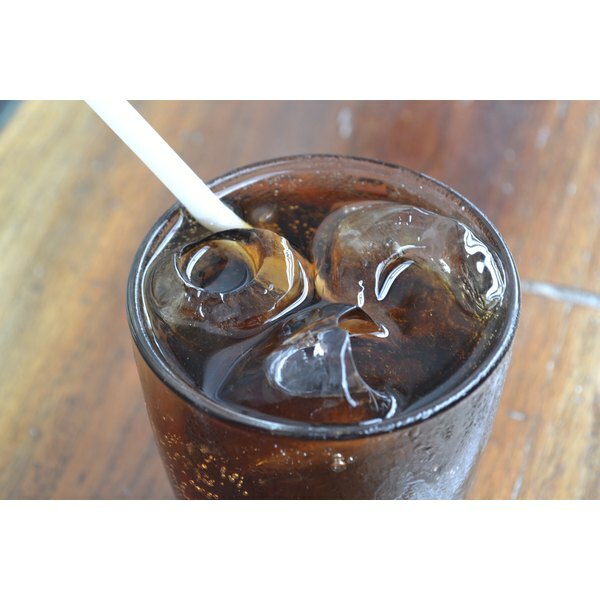 Sugar-free beverages, such as diet sodas, are popular as they allow individuals to indulge in sweetened beverages without the guilt of excess calories. However, debates continue to surge regarding the safety of aspartame, the zero-calorie sweetener of choice in diet sodas. While being aware of calorie intake is important, it is also imperative to understand the possible health consequences of three independent metabolites -- phenylalanine, aspartic acid and methanol -- produced when aspartame is broken down by the body. According to a 2013 review in “Folia Neuropathologica,” excess phenylalanine, which is a byproduct of aspartame metabolism in the body, reduces levels of serotonin and dopamine in the brain. Serotonin is responsible for mood changes, feelings of well-being, memory and the sleep/wake cycle. Dopamine functions to control movement and plays roles in cognition, motivation and sensations of pleasure. A review in the April 2007 issue of “Molecular Psychiatry” found that decreased levels of serotonin and dopamine may contribute to major depressive disorder in those with a familial history of depression. A primary function of the neurotransmitter, dopamine, is control of locomotion and muscle movement. Depressed dopamine, which occurs with excess phenylalanine, is responsible for the loss of muscle control and fine motor skills classic of Parkinson’s disease. While scientific studies do not confirm a link between aspartame consumption and Parkinson's, the U.S. Food and Drug Administration has received many anecdotal reports suggesting diet soda consumption may contribute to an increase in symptoms associated with Parkinson’s disease. Aspartic acid, another byproduct of aspartame metabolism, in excess amounts, can cause hyperexcitability, according to the 2013 review published in “Folia Neuropathologica.” This reaction occurs when aspartic acid converts to glutamate, a neuron excitotoxin that damages nerve cells. Continuous stimulation of neurons will eventually cause neuron death and is implicated in many neurodegenerative conditions such as Huntington disease. While the debate regarding the carcinogenicity of aspartame is still actively being researched, the possibility of aspartame increasing cancer risks does exist, according to a study published in the December 2010 issue of the “American Journal of Industrial Medicine.” This study confirmed aspartame’s potential ability to induce liver cancer and lung cancer in mice. The incidence of cancer was directly related to the amount of aspartame consumed, indicating a dose-dependent relationship. Considering the potentially high intake of diet soda among those who consume it, this study may provide serious insight into the effects of aspartame on the human body, although further research is needed.